The fire is crackling, and you gather round to enjoy the flickering flames: during the winter months, evenings in front of the stove or built-in fireplace are particularly enjoyable. Sooty glass spoils this pleasure. This guide shows you how to clean your stove glass in only five minutes. To clean the stove glass quickly, all you need is a bowl of water, newspaper, and some white ash. Crumple some newspaper into a ball, dampen it, and pick up a little white ash from the stove or built-in fireplace (this does not usually contain any abrasive particles). Use it to rub the stove glass, then wipe off with kitchen paper. Allow the stove to cool down. Next, cover the floor in front with newspaper. Shake the can of cleaner well and hold vertically. 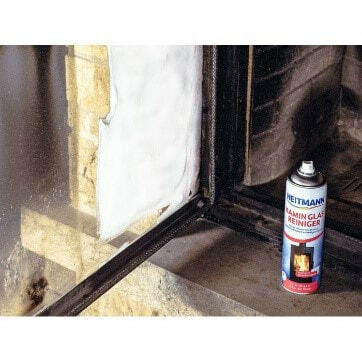 Spray the glass on the stove or built-in fireplace from a distance of around 15 centimetres. When the active foam has adhered well to the glass, leave it to work for around five minutes. Wipe off with a damp cloth. If the glass is very dirty, repeat the cleaning process. Of course, the fire in a stove or built-in fireplace will always produce some soot. But if there’s a lot of soot, this indicates a problem. 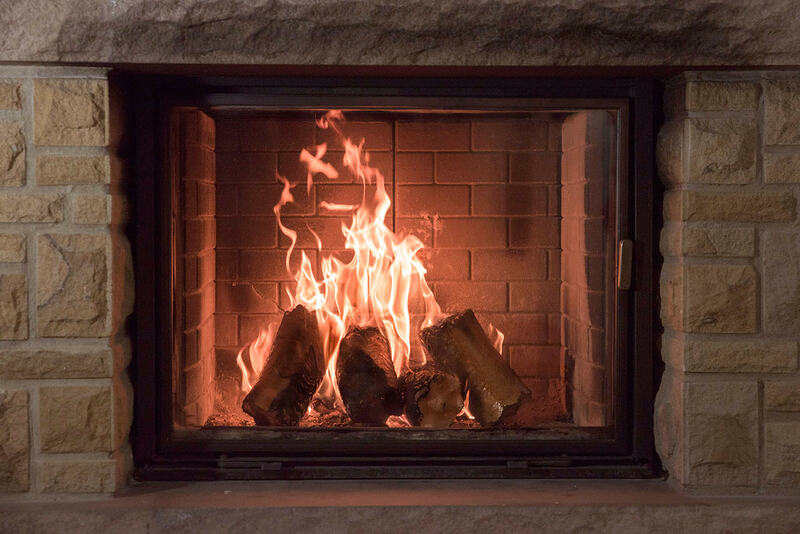 Damp or the wrong type of fuel: Only untreated, dry firewood should be burnt in a stove. The wood should have a moisture content of less than 25 per cent. Too much moisture lowers the temperature in the stove when the wood is burnt. This produces soot and tar particles, and the energy value drops. So heating costs more and pollutes the environment. Too much wood, too little air: Too much fuel in one go and a poor air supply also give rise to a lot of smoke and soot. Stove not cleaned properly: If soot is deposited on the flue pipe and its connections, the stove does not draw well and creates more soot, increasing the risk of fire. Lighting the fire from below: The current recommendation is to light the fire from above. Stack the logs in the bottom of the stove. Place a mesh of kindling and the firelighter on top. Light the fire with the draw fully open. It will then burn very cleanly, helping to protect the environment. With these tips, nothing will block your view of the fire. So you can enjoy a relaxing evening around your stove!